In San Leandro, GMC vehicles are a popular choice among car owners because of their attention to detail, the abundance of technology and features, and the overwhelming dedication to reliability. Your GMC will continue to operate at its finest with regular maintenance and GMC repairs as they come up. For reliable GMC repairs in San Leandro and the surrounding communities in Alameda County, trust Wright’s Automotive Service. Our professional, courteous staff members always do their best to provide a comfortable, family-friendly environment while your GMC repairs are performed expertly. At Wright’s Automotive Service, your GMC repairs are in good hands. Our technicians are ASE-Certified and have years of experience in all makes and models including your GMC. They use professional-grade equipment and technology to diagnose each of your concerns and perform your GMC repairs using the latest techniques and high-quality tools. Whether your Terrain needs its timing chains replaced or your Sierra needs leaf spring repairs, we’ve got you covered. We know you don’t want to keep coming back for the same problem because of low-quality parts. 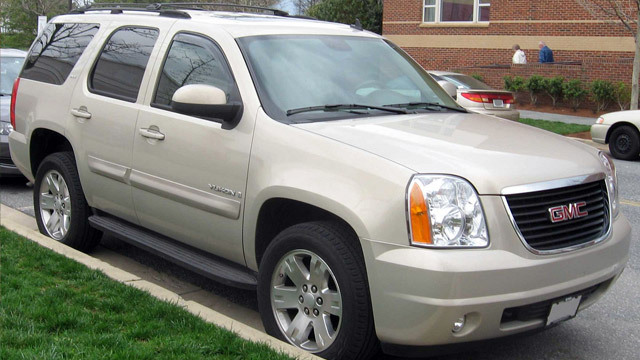 For that reason, all GMC repairs are performed using original equipment and name-brand aftermarket parts and fluids. For professional GMC repairs in San Leandro, visit Wright’s Automotive Service – your first choice for quality and convenience. Give us a call or use our convenient online appointment form to schedule your visit today!